Thursday, December 13 with USPS Express Mail. International shipping varies greatly by destination, please order as early as possible. New Styles Added for Summer 2018! Introducing new styles and colors, just in time for Summer intensives and recital gifts! 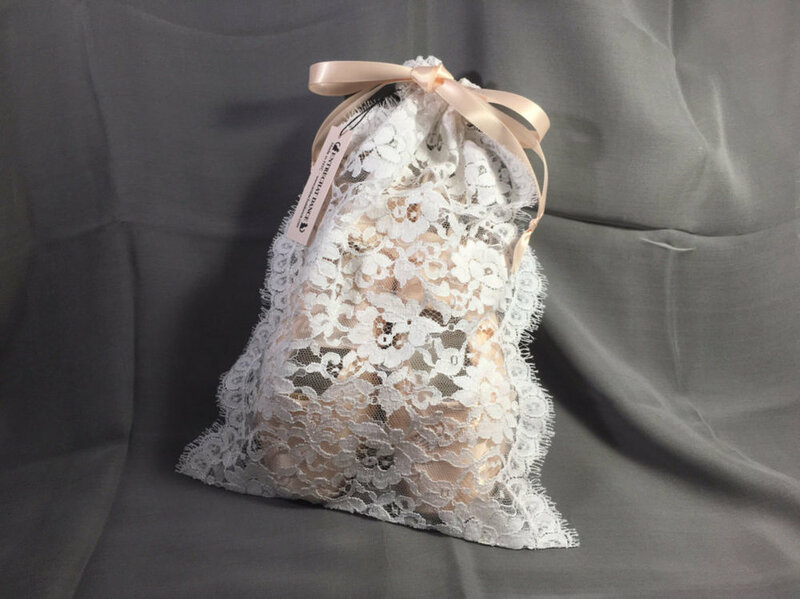 Our new Gigi Lace Pointe Shoe Bag! I'm just in love with our new Gigi lace. Ivory Chantilly with black cording, this gorgeous lace is available in a wrap ballet skirt, scrunchie, and a stunning pointe shoe bag, embellished with shimmering Swarovski® crystals. Wait, did you say scrunchies? YES! You can never have too many scrunchies, and we have tons of different laces! Perfect for ponytails and around ballet buns. And there are also some beautiful new skirts, like this gorgeous pink Eliza leavers lace ballet wrap skirt with ivory ribbon waistband. September is New York Textile Month! Did you know? September is New York Textile Month! One of the reasons I launched Entrechat Dance was to indulge my love of fine laces, including my very favorite, American-made leavers laces. Leavers laces are made on Leavers machines, which are a remnant of the industrial revolution. Leavers laces are widely recognized as the finest-quality, most luxurious machine-made laces available. New Leavers machines haven't been manufactured in a century, so the few remaining mills that produce these gorgeous laces are very special and rare. Every machine has been maintained, repaired, and kept running by dedicated, highly-skilled textile workers, who make incredibly beautiful and intricate lace fabrics and trims. Because these machines are products of Victorian technology, the designs are programmed in using a series of punch cards—jacquard looms and lace machines were some of the very first computers! The way that leavers laces are created is unique—unlike knit or woven textiles, in Leavers Laces, hundreds of individual bobbins interlace whisper fine yarns to create gorgeous patterns, mimicking the technique used to make handmade bobbin laces, but on an industrial scale. There are a just few Leavers lace mills remaining in France's lace capital, Calais, and there is one remaining leavers lace mill stateside, right nearby in Rhode Island! 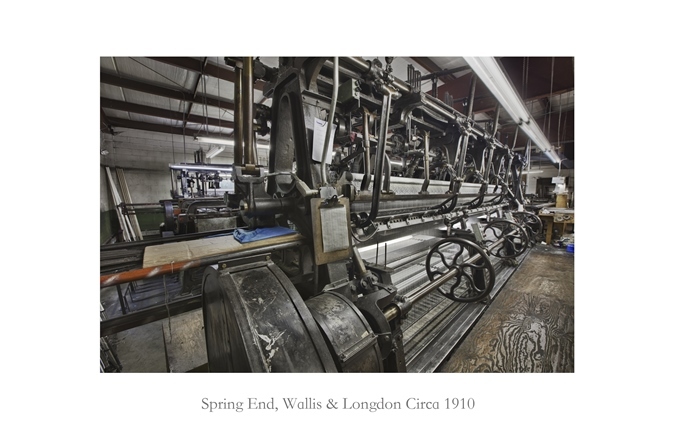 All of the leavers laces used in Entrechat Dance's designs come from this small, family-run New England textile mill. It's my small, small way of helping to draw attention to this incredible art. The Holidays are upon us yet again! Here are a few of our favorite ethical, animal-free, vegetarian and vegan gift ideas for the ballerinas in your life. These cozy legwarmers by KD New York are made from premium synthetic and plant-based yarns and are knitted with love right here in New York City. (Right across the river, in the Bronx!) One size fits all, and they come in a bunch of fabulous colors, so they're a guaranteed hit. Also be sure to check out KD New York's line of "vegetable cashmere" sweaters and warm ups. Our newest ballet skirt design is sewn with love in Manhattan, and made of elegant Chantilly-style lace and pretty peach ribbon, both of which are made in the USA. Like all Entrechat Dance designs, the Alexandra Lace Ballet Skirt contains no animal products whatsoever. The lace is 100% nylon, and the ribbon is 100% polyester. Elegant and Ethical. Lifefactory Water Bottles are made from high-quality glass and silicone materials in the USA and France. 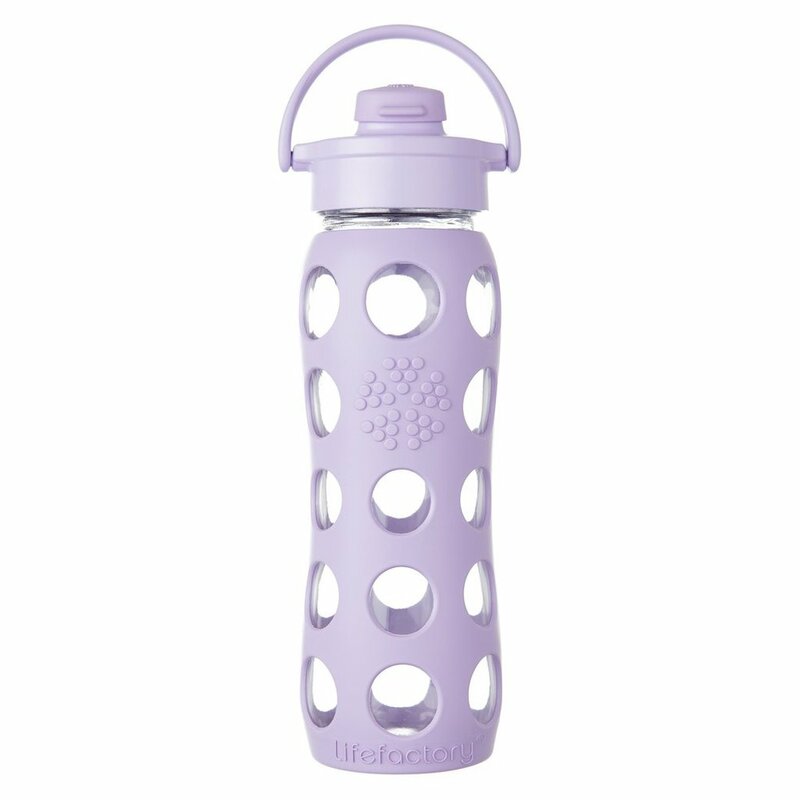 Staying hydrated is important, and these durable and beautiful water bottles keep your water tasting fresh. They're assembled in California of a mix of USA-made and French-made components. Our shoe bags are made from ultra-luxurious and elegant laces in New York City. Airy lace is not only beautiful, it allows pointe shoes to dry out completely between classes and helps extend their life. These soft, stretchy slippers make your arches look amazing and ease your conscience, since the soles are synthetic and they're 100% vegan. In addition, Cynthia King runs a diverse, inclusive dance studio and company in Brooklyn. Floor Barre is great, because you can do it anywhere—at home between classes, when traveling, etc. Sarah Arnold is an experienced teacher at the Pacific Ballet Academy in California's Bay Area. Her floor barre videos are clear and helpful. Pretty Lace Hair Clips by Entrechat Dance, Embellished with Swarovski® Crystals. Our lovely lace hair clips add a touch of sophisticated shimmer to your hair with genuine Swarovski® crystals. Super excited to wear my new skirt from @entrechatdance again!! Thank you so much!! Tools of the trade: the visual joy of form and function together fully realized. Stunning Aurora lace pointe shoe bag by @entrechatdance, custom pointe shoes by @gaynorminden. 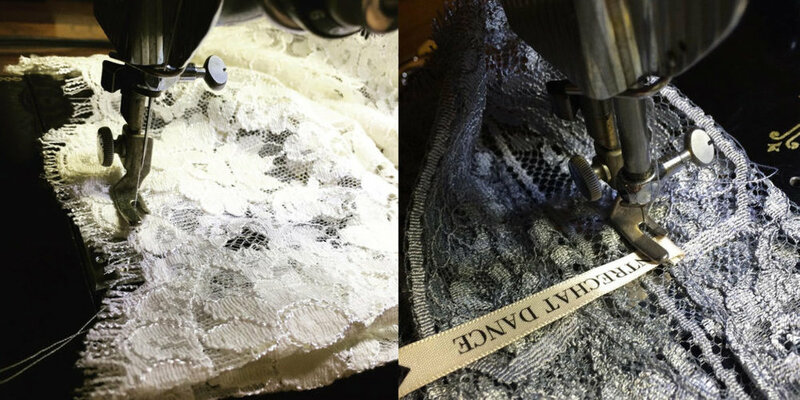 Many of our lace shoe bags and ballet skirts are made of genuine leavers lace by Klauber Brothers. Klauber's leavers laces are woven in Rhode Island on some of the last remaining 19th century leavers machines in the world. These laces are known for their unparalleled beauty and quality, and are used by some of the most exclusive bridal and eveningwear designers. This great video shows how these skilled weavers craft beautiful leavers laces on antique machines, right here in the USA. leavers lace mill from janelle pietrzak on Vimeo. We're pleased to announce a few new arrivals and an announcement. The Lise Lace Pointe Shoe Bag is made from a gorgeous ivory cotton-blend eyelash leavers lace woven on 19th century looms in Rhode Island. Like all Entrechat Dance creations, it is hand-cut and sewn in New York City. It's our roomiest pointe shoe bag yet, with the interior measuring 8" wide by 12 1/2" long. Like all our lace shoe bags, the light, open airy fabric allows your pointe shoes to dry completely between wearings. Shop All Pointe Shoe Bags. The Black Marie Lace Ballet Wrap Skirt is made from a soft Chantilly-style lace with a delicate scalloped hem. The skirt features our high-low wrap silhouette and signature Entrechat Peach ribbon waistband. Only one available, in size S-M. Shop all Skirts. We're also pleased to announce that the Aurora Leavers Lace Pointe Shoe Bag is back in stock. This shoe bag is made from a distinctive black leavers lace with elegant multicolor yarns, that evoke the Princess Aurora's namesake, the Dawn. Shop All Pointe Shoe Bags. Celebrate International Dance Day with Free Shipping! Happy International Dance Day! We're celebrating with Free Shipping WORLDWIDE! Use code DANCEDAY16 at checkout. Offer ends Sunday, May 1, 2016. The Paris runways have been full of gorgeous ballerina-inspired looks, from edgy tutus, ballet slippers and sweaters at Valentino, to glamorous tulle gowns with ballerina embroidery at Yanina. The great thing about the ballerina trend is that it's so versatile and accessible. You can go all-out, or just add a single element to update your look. Here are a couple of my favorite items that can bring the ballerina look into your wardrobe. A soft ballet-neck sweater by KD New York, paired with your favorite leggings, cute ballet flats and one of our lace ballerina skirts make a chic ensemble. What's your favorite way to rock ballerina style? 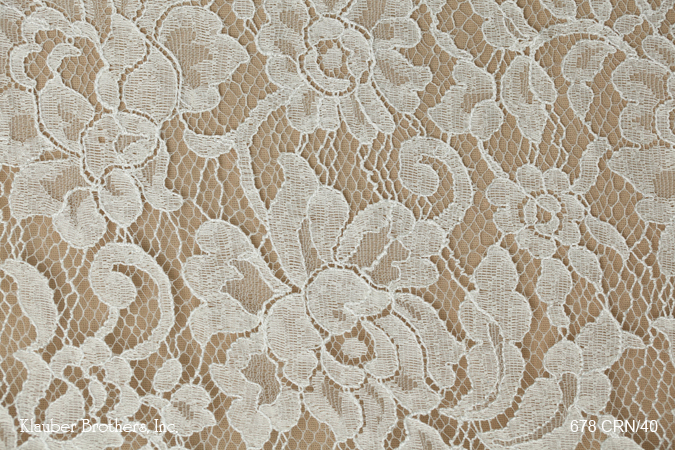 Absolutely in love with our new Aurora leavers lace. Black with a gorgeous space-dyed yarn in lovely pastel shades. Wrap skirt available in size S/M and M/L.